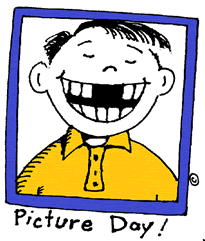 Next week Friday, September 7, will be our School Picture Taking Day. House of Photography will be here in the morning to capture our awesome smiles! Order forms go home this week in Friday Folders. All children will take a photo and receive an ID. SAY CHEESE!